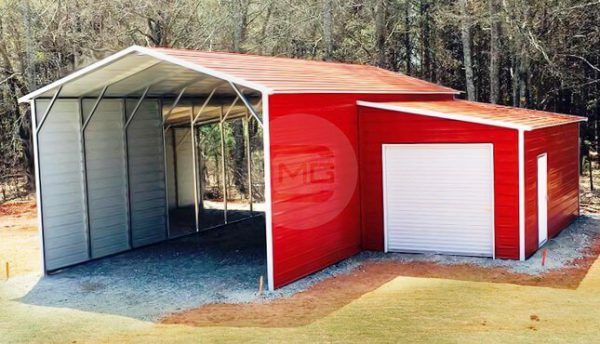 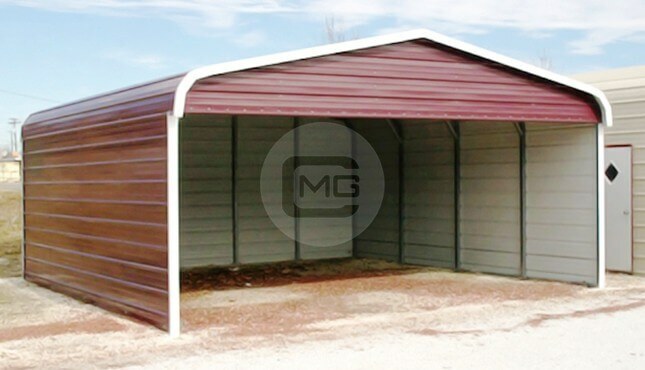 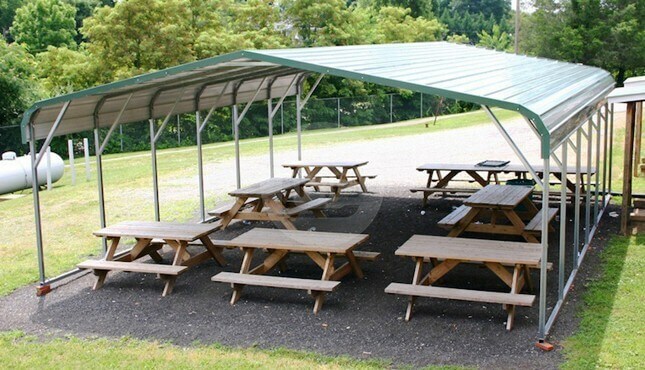 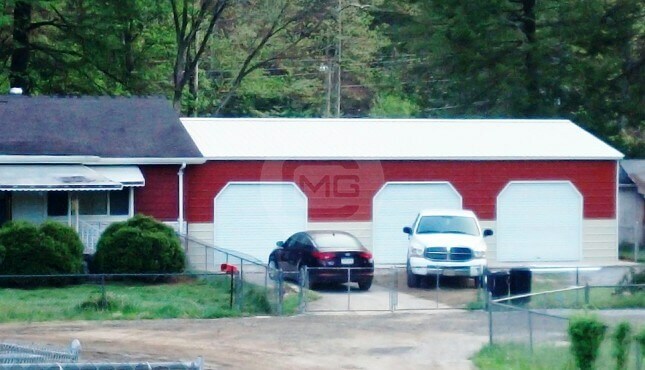 Here is a 44x41x12 Boxed Eave/A-frame horizontal roof Carolina or “step down” style barn. 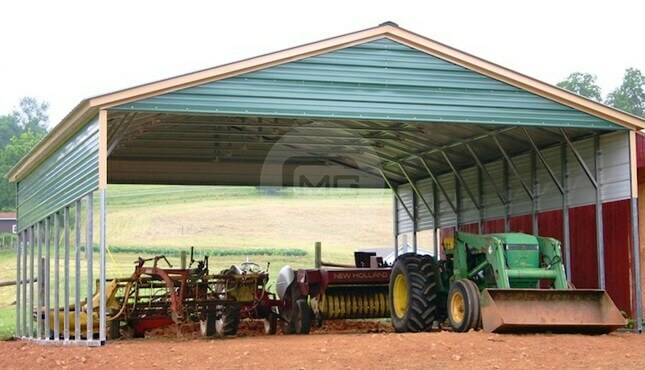 The center building of barn is 20x41x12 Boxed Eave roof with 15′ closed on the sides, It has (2) 12x21x9 Boxed eave horizontal roof lean-tos. 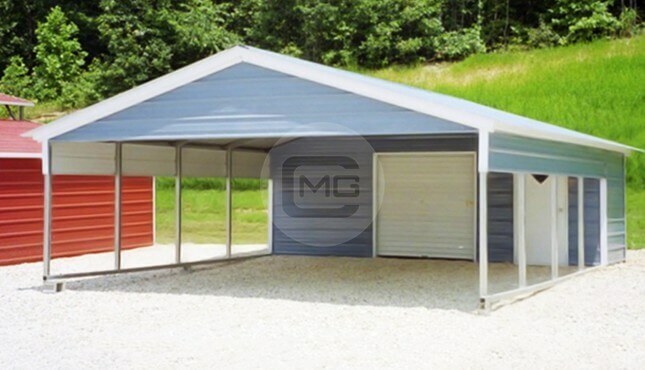 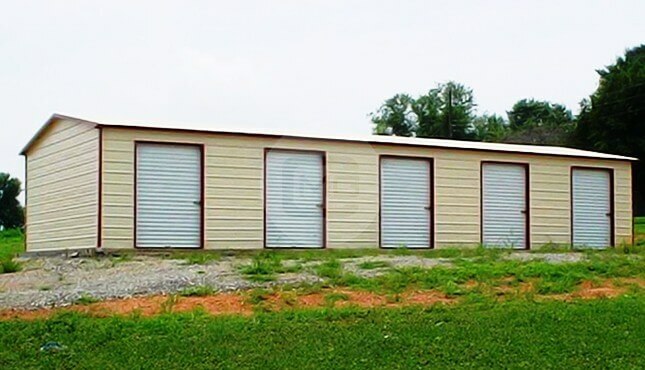 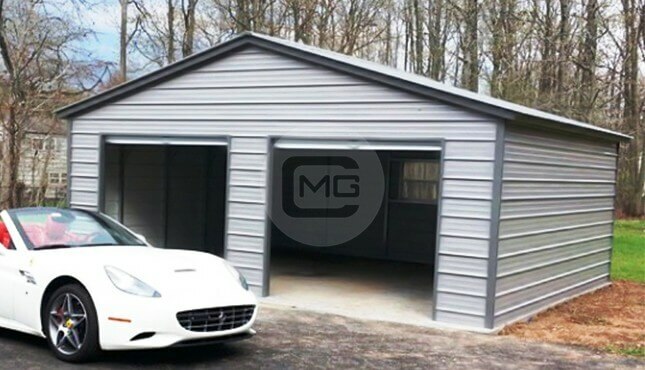 The right side is completely enclosed with (1) 9×8 metal roll up door on the front wall and (1) 36″ x 80″ walk in door. 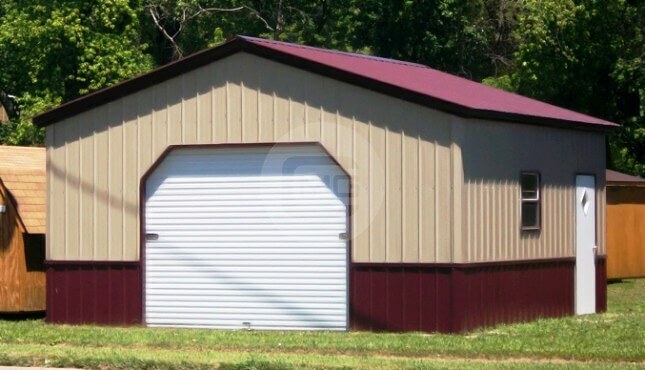 The left lean to is open with (1) outside wall closed 20′.